Sunshine first. If your team gather more often than usual, consider changing focus to Friendship. Level up Hissy Fit whenever you can. The value of Alice is proportional to a number of allies around her. So the key component in Alice gameplay is players able to participate in as many fights as possible. For this, the key component is map awareness. As for Alice skillset, abuse the fact Sunshine is castable while on the move, all three abilities can assist allies in both escaping and engaging the fights. Using abilities increases movement speed by 20% for 1 second. Both 1st and 2nd skill from Alice are castable on the move, combined with this passive this makes Alice extremely hard to chase. Alice unleashes the power of the sun, dealing 375/425/475/525/575/625 (+86% of AP) magic damage and stunning enemies. -Short flight time makes this ability relatively easy to land on enemies. Alice creates shields for herself and nearby ally heroes that absorb 125/145/165/185/205/225 (+40% of AP) damage and increases their movement speed by 30% for 2 seconds. -Extremely potent skill for your team in both offense and defense, probably the reason why Alice has so much success as she gives her team so much more mobility. Alice summons a cursed circle, reducing the movement speed of enemies within range by 25/30/35% for 2 seconds and decreasing their magic defense by 30/40/50%. While active, the circle also deals 75/93/111 (+15% of AP) magic damage every 0.5 seconds and silences enemies within for 1 second. 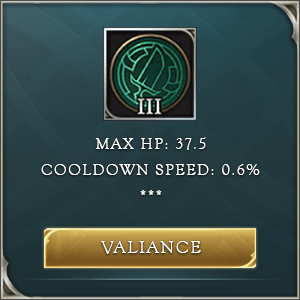 -Large radius, built in slow and silence makes this spell easy to land as well as having huge importance in team fights. In combination with another mage's AoE spells, this can help meltdown the enemy team. -Crowd control. All of her abilities have a control effect on either her or the opposing team. From speedups to stuns, slows and silences, all of her abilities are affecting how others perform on the battlefield. -Area of Effect. Friendship and Hissy Fit have a large radius which makes them effective and easy to use. Sunshine, on the other hand, has a smaller radius, but its flight time and low cooldown can lead to numerous occasions where you stun multiple opponents. -Hard to pin down. thanks to her entire arsenal of spells, Alice has lots of tools at her disposal when faced with a situation she needs to run away from. -One on one. unless you caught someone off guard, out of cooldowns, or out of HP, Alice can do very little in duels. -Squishy. if caught out of position and crowd controlled for even the shortest amount of time, she will disappear in a few seconds. -Team oriented. if your team does not work together or doesn't team up at all for that matter, Alice's effectiveness drops rapidly. Her entire toolkit is oriented toward helping her team. Max out Sunshine first and play aggressively, rely on Friendship just for speed boost if you get in trouble. If your team gather more often than usual, consider changing focus to Friendship. Level up Hissy Fit whenever you can. Alice is a team player already from level 2. Being able to stun multiple opponents and speed herself and her friends means she should team up early. Use Friendship for those moments when you or your teammate are in dire straits, or when any jungler is joining up in the lane. If opposing, for retreat, if not then for engaging unsuspecting prey. If your lane partner is a magic damage dealer, you should try to coordinate your ultimate with his burst/main damage spells. Avoid those, unless you find an already crumbling target, someone with low HP, no cooldowns and/or no mana, and your ultimate is ready. Even then some of the champions are too dangerous for her to take on. Ganking with Alice: Start with Hissy Fit for adding slow to the target, then land a Sunshine, and save Friendship for when you think a target could escape or get out of your reach. Teamfights with AoV Alice: Alice spells deal a decent amount of damage, but it is much more important to exert flawless control over your enemies and help allies when needed. Do not cast the ultimate if an enemy team is under long-lasting AoE stun (like Gildur's or Grakk's ultimate), instead wait for it to get near its completion and then chain it on top for silence and slow effect. Use Sunshine on cooldown and focus more on the target that needs to be stunned rather than doing damage. Friendship is really important to have at the right times. However, no one can tell you in advance what to do with it because it has many purposes and all are equally important. When engaging enemies, your whole team having speed will make sure that the entire team can follow through in those crucial early seconds of a fight. 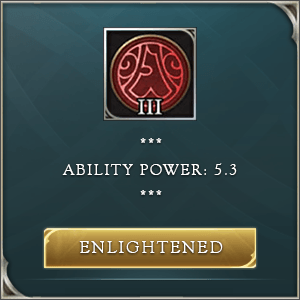 During the fight, when the enemy is landing huge AoE spells, it can save a teammate with the shield portion of the spell, or help him move away from, let's say, Diochan's ultimate. In ending stages of a fight, for chase or disengage, it can also play an important role. The major problem of Friendship is that the spell is too good. At every moment of battle you can regret already using it but at the same time, if you're not using it often, then your time is deprived of a great tool. Disengage with Alice: Sunshine has no cast time, meaning you can cast it on the move and Alice will not stop to execute that order, which is really important when you are being chased by a stubborn foe. Adding speed from Friendship will make sure you and your friends are at safe distance most of the times.